How will Facebook change as deep linking becomes more prevalent? Facebook’s App Links, which takes users from a Facebook post or ad into the company’s native app (bypassing the mobile web), are becoming more widely adopted by the day. 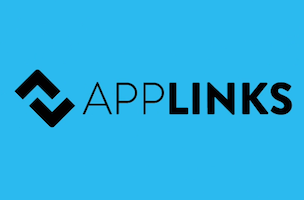 Announced in April at f8, App Links continues to grow as developers embrace deep linking. But how will that change Facebook’s ad and usage habits as more developers get on board? Inside Facebook spoke with deep linking expert Liron Shapira, the Chief Science Officer of Quixey, which calls itself “The Search Engine for Apps.” Shapira spoke about deep linking in general, as well as how Facebook’s and Google’s efforts differ. Inside Facebook: What do you think of App Links so far? Liron Shapira: App Links is a great standard. It’s helping promote deep links in general because it’s giving developers a way to document the fact that these deep links exist in a standardized way, and that promotes developers to support deep linking and deep link to one another. Google app indexing is similar in a lot of ways. Quixey also has our own standard, AppURL (appurl.org) which predates Google app indexing and Facebook App Links, which has some differences too. Ultimately all the standards are converging toward the same model of the Functional Web, which is that software states should get URLs to identify them, and then you can jump to them with links. Linking is a great idea the web gave us, and actually it should have always applied to software, like in 1995, Microsoft Word should have had a way for me to link you to the resume template. IF: How do you think Facebook usage will change as deep linking becomes more widely-adopted? LS: For News Feed stories, I imagine it’s an incremental change. It’s better if i can click the story and open in some news site’s app — that’s probably a gradual change/improvement we’ll see. For their app install ads, that brings up the general topic of app installation, which Quixey has always seen as counterproductive to the inevitable future of the functional web. IF: If i’m clicking an ad, for say, Hotels.com, but i don’t have the Hotels.com app … how would that experience be better within the functional web? Because most times, when I get to a mobile browser page, the first call to action is to install the app? LS: Just like the web is the universe of pages with URLs, the Functional Web is the universe of software states with what we call “Functional URLs” – identifiers of states. The inevitable future is to be able to have a “Functional Link” – a link that takes you to a software state in whatever edition of the software product can provide it best, e.g. if you have the native app edition of Hotels.com on your device, it opens into the deep state there. If not, maybe it takes you to the mobile site, or it takes you to the app store and then as soon as your app finishes downloading it opens it to the right state. Ultimately you’re clicking a Functional Link and getting to a software state. It’s just annoying that installation is making that process less streamlined; so we expect that user experience to smooth out somehow over time.